If you’re like me and many other people all over the world you want the most caffeine you can get in the morning. We’ve got the data and now you can see what’s the most efficient way to wake yourself up in the morning at Starbucks. 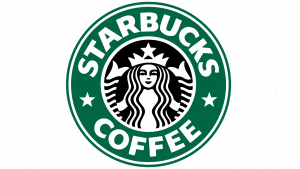 Starbucks offers a wide variety of custom drinks many of which contain a helpful dose caffeine, but as you may have guessed some are a better deal than others. Did you know that the Short and Tall sizes for many of the espresso based drinks contain the same amount of caffeine, this is true for the Grande and Venti sizes as well. We found you could request to get espresso shots long shots, there may be more water, it may taste more bitter, but you will get a little more caffeine out of each pour, without having to pay extra. Stick with freshly brewed coffee if you like to be efficient. Starbucks is a treat, treat it like such. While you may now be able to save some money on your trips to Starbucks,coffee brewed on your own will get the job done much cheaper. Even buying a bag of your favorite roast from Starbucks and brewing it yourself will save you more money than stopping in everyday. Or see out encompassing Caffeine Per Dollar study and more studies Per Dollar here.